Rubber air springs, namely pneumatic tires and airbags, are common shock-absorbing rubber products in the rubber products industry. The curved capsules made of rubber and mesh are used in air suspension, lifting equipment and vibration damping equipment. 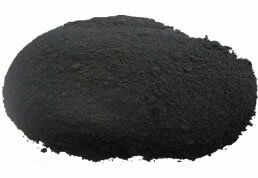 The tire rubber powder processed by adding waste tires to the rubber air spring can not only reduce the production cost, but also improve the fatigue resistance and tear resistance of the air spring; however, improper use of the tire rubber powder can affect the quality of the pneumatic tire. Why? What skills do you need to master when applying tire reclaimed rubber in rubber air springs? According to the structure, the rubber air spring can be divided into outer layer rubber, inner layer rubber and curtain rubber. 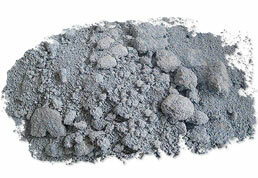 Different parts have different performance requirements for the rubber compound used. For example, the outer rubber layer of the airbag needs to have excellent aging resistance, flex resistance and high fixation. Stretching, the inner layer of rubber has high requirements on aging resistance and air tightness of the rubber compound, and the curtain rubber has excellent heat resistance and flex resistance; the rubber materials of different rubber layers need to have good adhesion with the curtain, so different parts When the rubber air spring is mixed with the tire rubber powder, there is a certain difference in the formulation design. Studies have shown that adding 10 parts of fine tire rubber powder to 100 parts of raw rubber can not only reduce the cost of raw materials, but also further improve the flexural and tear resistance of rubber air springs. Rubber air spring outer layer glue is generally used in the ratio of 1:1 in natural rubber and butadiene rubber, and 10 parts of tire rubber powder is used together with sulfur, accelerator M, zinc oxide, magnesium oxide, stearic acid, Pine tar, paraffin, black ointment, anti-aging agent 4010NA and medium super wear-resistant carbon black, semi-reinforcing carbon black. Magnesium oxide can improve the degree of vulcanization of rubber compound, enhance the fluidity and anti-oxidation ability of rubber compound, and improve the tensile strength and impact resistance of rubber compound. Paraffin wax can increase the plasticity of rubber compound, disperse the agent compounding agent, and improve the processing technology of rubber compound. The use of black grease further enhances the elasticity, resilience and dimensional stability of the rubber air spring. The rubber air spring outer layer glue is usually made of natural rubber as the main raw material, and 10 parts of tire rubber powder is mixed. The accelerator in the inner layer rubber formula can be mainly made up of accelerator M, and a small amount of accelerator TMTD is used, and the curtain glue is used. 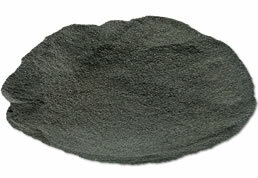 A small amount of accelerator TMTD can increase the amount of magnesium oxide; semi-reinforcing carbon black can be used simultaneously in the reinforcing system, and the amount of semi-reinforcing carbon black in the curtain rubber should be appropriately reduced. 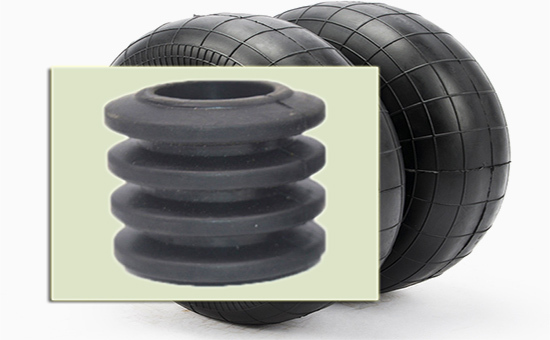 Reasonable design of rubber air spring products containing tire rubber powder can maximize the effect of tire rubber powder and minimize the negative impact; in actual production, the thinner tire rubber powder generally has less influence on the physical and mechanical properties of rubber products. Therefore, rubber products manufacturers can choose high-grade tire rubber powder as much as possible, 60-mesh tire rubber powder and 80-mesh tire rubber powder are good choices.